Visit both Denmark and Sweden on this weekend trip to Copenhagen, Denmark! 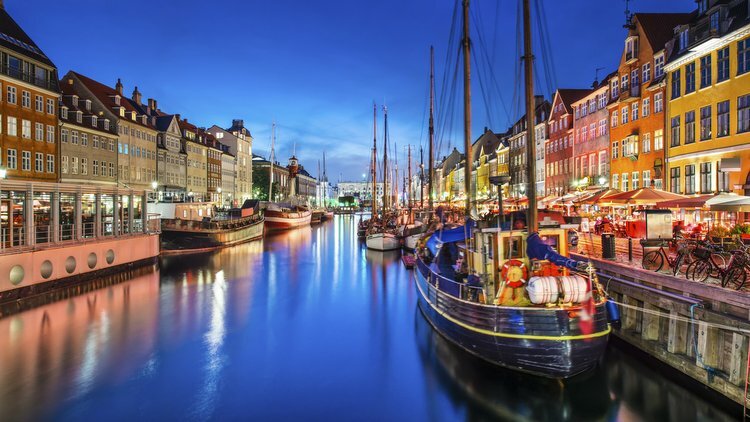 When you spend the Spring Break Long Weekend in Copenhagen, you will have three full days to explore the maritime capital city’s streets and canals, visit various nautical and naval museums, and shop for Scandinavian specialty goods in both Denmark and Sweden. From the time you arrive at your hotel in the heart of Copenhagen, you will be within walking distance of all of Copenhagen’s downtown destinations, including the world famous Tivoli Gardens. If, somehow, you run out of things to do in Copenhagen, you can easily ride the train to either Malmo or Gothenburg, Sweden, to cross another country off your “been-there-list”. Having the full weekend to enjoy in Copenhagen means you won’t have to rush through your day or cut your visit to Sweden short in order to get back to the bus before a same day departure and having a free e-travelguide downloaded from Army Libraries means you will find it all in both cities. Spaces on this Scandinavian weekend won’t last for long. Reserve yours today with Kaiserslautern Outdoor Recreation. All empty rooms will be cancelled on Wednesday, March 6. *Sweden is in the process of converting to a cashless society and many Swedish vendors will not accept cash payments. The Euro is not accepted in either country and both countries charge conversion fees to exchange Dollars or Euro for local currency. Use your Credit or Debit card for maximum spending flexibility and minimized conversion fees.